I’m a Wife and mummy to a 10 month old boy. I am an independent consultant for Arbonne Skin care is one of my passions and when you find the formula that works 100% you want to share it with everyone. Swiss formulated and Safe Pure and Natural. I love hearing woman tell me they love Arbonne and what it has done for there skin,lives and confidence. 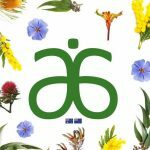 I love that Arbonne has become my life. 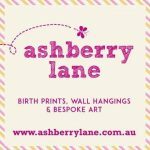 Ashberry Lane is the brain child of graphic designer Marney Fontana who has a passion for creating beautiful things. She takes current interior styles and funnels those into striking, bold on-trend and affordable artwork. Taking inspiration from the iconic advertising images of Bernard Villemot to the sweet detail of vintage French illustration, Marney creates unique pieces that embody the vibrant, dynamic energy that is Sydney. I’m a wife and mum of two kiddies aged 7 & 8 and I have a home beauty salon which I absolutely love and carry out waxing, facials, tanning, pedi/mani’s, tinting etc. I am a make up artist, a doTerra wellness advocate and also an independent consultant for Arbonne International. These are my passions and I love to make women feel empowered and beautiful! Hi everyone, I’m your local distributor for NuSkin. Nuskin has a 30 year history in beauty and nutrition.. Nuskin offers an alternative way to anti-aging without cosmetic surgery, with proven results. I tried the products myself, loved the results and how they transformed my skin, and now I want to help others achieve the same. 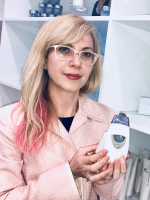 My favourite products are the micro-current devices that you can easily use at home to stimulate the skin rejuvenation. Please send me a message if you’d like to know more, see the range or visit the website for all the science, company history and testimonials. Guardian Early Learning operates over 100 early learning and childcare centres across Australia. At Guardian, the educational practices and programs will help equip your child with skills to thrive in the 21st. Century. 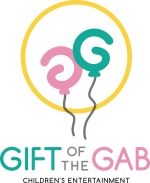 Guardian’s Curriculum places importance on the unique interests and developmental stages of each child and focusses on literacy, numeracy, creative and social skills to create lifelong learners. These skills encompass creativity and innovation, collaboration and teamwork, critical thinking and problem solving and communication. With custom-designed environments, nature inspired resources and passionate educators, we invite you to discover your closest Guardian centre today. Kangatraining is a complete workout during which both cardiovascular endurance/flexibility and muscular capacity/strength are enhanced. The pelvic floor and abdominal muscles as well as correct posture are given special attention. 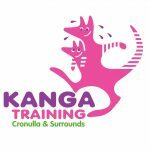 Kangatrainers are also trained in babywearing best practices and can help mums ensure the safest and most comfortable carrying positions for their babies. Kangatraining is your BEST & SAFEST workout together. Trained in best babywearing practices & postnatal exercise to ensure you’re both comfortable & safe. Workout with your child(ren) & like-minded local mamas. Secure venue – older kids welcome too. Come see how much fun exercise WITH your child can be!